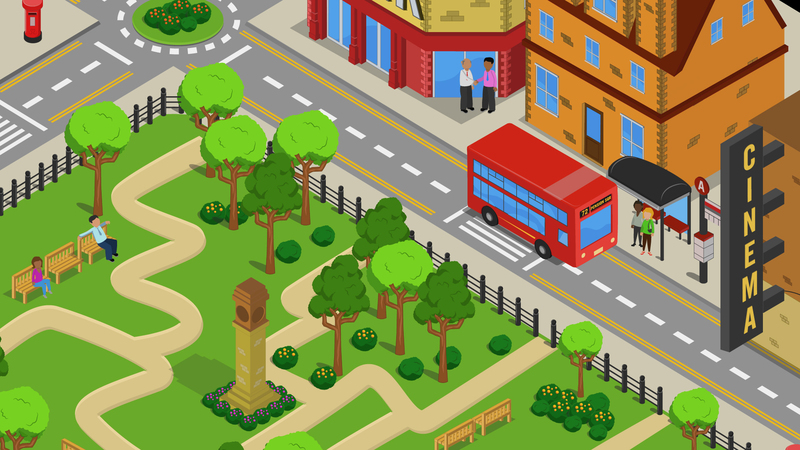 The Department of Work and Pensions were building a new website dedicate to explain working pensions and needed an illustration to be used as a navigation map. Working with Baurhouse media we designed and created the above image where each building would lead you to a section, all encompassed in what was requested to be a “typical english town square”. Using our illustrative skills we set about creating a world in which this environment could be realised.